In letter to Defense Minister and Knesset Speaker, PM announces each MK will be able to ascend Temple Mount once a quarter. After more than two years when Knesset Members were forbidden to ascend the Temple Mount, Prime Minister Binyamin Netanyahu ordered a policy change. 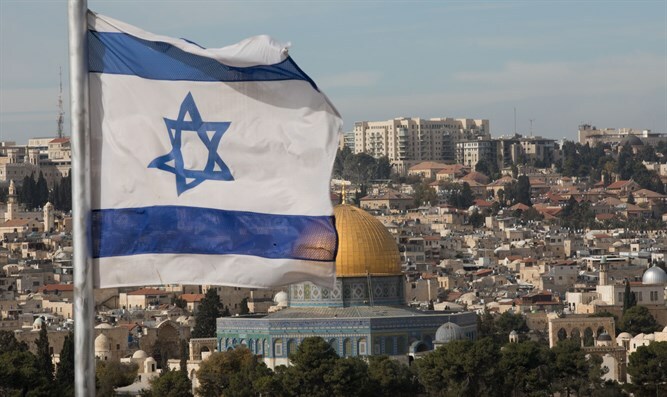 Channel 2 this evening reported that in a letter to the Knesset Speaker and Defense Minister, Netanyahu announced that each MK could ascend the Mount once a quarter. Culture Minister Miri Regev said in response, "I congratulate the Prime Minister on his decision to renew Knesset Members' ascent to the Temple Mount - the holiest place for the Jewish people. Even elected officials with opinions and beliefs have the right to visit places they believe in." Recently, the Temple Mount Administration began operating under auspices of the Culture Ministry with an initial budget of NIS 4 million allocated by the two ministries leading the proposal - the Culture Ministry and the Jerusalem Affairs Ministry. The director of the Administration is Dr. Eyal Davidson, a researcher of the history of the Jewish community in the Land of Israel during the Ottoman period and someone who has dealt with Jerusalem history for years. To this day the Israeli government has not officially referred to the Temple Mount and the government ministries have avoided its administration. The result was that Arab forces, especially extremists such as the Islamic Movement northern branch entered the area to exploit the vacuum.